LBD & ONESIES - A Lifestyle Blog: 48 Hour Flash Sale is Back! 48 Hour Flash Sale is Back! My fave online shop, Romwe, has came up with another flash sale to thank their loyal clients. This sale will last for 48 hours only! 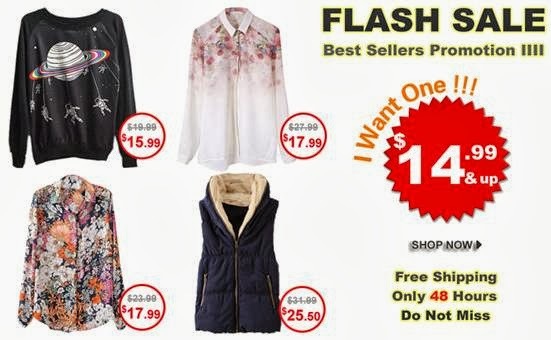 Only their fashionable best sellers are up for grabs in this deal and each item costs $14.99 and up. :) Don’t miss out on this, girls!